Are you looking for the best DreamHost alternatives to try in 2019? Let us tell you one thing: DreamHost is good in so many ways but it also has issues and there are a ton of other great web hosting alternatives you can try at better prices. So in this post, we’ll explore some of the best DreamHost alternatives you can give a try in 2019 and beyond. Bluehost is one of the 20 largest web hosting companies which is owned by Endurance International Group and it is currently hosting over 2 million websites worldwide. Bluehost offers exceptional hosting plans like SSD Storage, unmetered bandwidth, free SSL certificates at affordable prices starting from $2.95 per month. Click here to start your blog on Bluehost for $2.95/month only. Here are few pros of using hosting plans from Bluehost. Here are few cons of using hosting plans from Bluehost. 1. Basic shared hosting plan: This is the cheapest shared hosting plan from Bluehost which costs you $2.95 per month where you’ll get the following things. 2. Plus shared hosting plan: You can actually install any number of sites which costs you $5.45 per month where you’ll get all the following features. 3. Choice Plus shared hosting plan: This is the widely used shared hosting plan from Bluehost which costs you $5.45 per month where you’ll get these things. 4. Go Pro shared hosting plan: Go Pro shared hosting plan gives you ultimate features like more CPU usage, disk usage, bandwidth and so on which costs you $13.95 per month and you’ll get all the following features. What’s the money back guarantee from Bluehost? Bluehost offers 30 days money back guarantee so you can get a refund of your money if you cancel your account and ask for a refund within 30 days of your hosting purchase and the money-back guarantee does not apply to most add-on products, such as domains. There’s a reason why we put SiteGround #2 in the list of best DreamHost alternatives and the reason is simply this: it provides unmatched web hosting features at affordable prices. SiteGround is one of the popular hosting companies which is hosting over 1,800,000 domains worldwide and it was founded back in 2004 offering excellent hosting features since then. Here’s the website performance test for SiteGround (which is incredible). Here’s a list of few amazing features you get with SiteGround hosting plans. Here are the pros of using SiteGround hosting. SiteGround also gets perfect scores and ratings from many trusted hosting review sites like HostAdvice, HostSearch, Trustpilot, etc so it’s constantly getting great customer feedback and ratings from all over the blogosphere. Here are the cons of using SiteGround hosting. The biggest con is that you get 30 GB website space even with the advanced shared hosting plan i.e GoGeek. So the limited space is a big concern for most bloggers. SiteGround shared hosting offers you the following 3 pricing options. StartUp: This plan is perfectly suited for beginners which costs you just $3.95 per month where you can install 1 website where you’ll get 10 GB of website space and perfectly suited for 10,000 monthly website visitors. GoGeek: This is the advanced shared hosting plan SiteGround where you’ll get access to staging, free backups on demand etc which costs you $11.95 per month and you’ll get 30 GB space which is suitable for traffic up to 100,000 monthly website visits. What’s the money back guarantee from SiteGround? SiteGround offers a 30-day money back guarantee for all of their shared hosting plans and 15 days money back guarantee for cloud hosting plans. Use the following link to get started with SiteGround and get an exclusive 60% discount. A2 Hosting is one of the fastest web hosting companies on the web which is also known for providing decent web hosting solutions at affordable prices. It also offers up to 20x faster web hosting with blazing fast turbo servers to increase your overall website loading times and performance. Besides that, A2 Hosting is backed by 24/7 guru crew support which is better than most of the other hosting providers in the industry. Here are few pros of using hosting plans from A2 Hosting. Here are few cons of using hosting plans from A2 Hosting. A2 Hosting offers the following 3 pricing plans. Lite: This plan starts at $3.92 per month that provides unlimited storage, unlimited transfer, can handle one site. Perfect for entry-level websites. Swift: This plan starts at $4.90 per month that can handle unlimited sites and resources. This is the widely used shared hosting plan from A2 Hosting. Turbo: It comes at $9.31 per month and it offers you all the advanced hosting features like Turbo (Up To 20X Faster), A2 Site Accelerator and so on. What’s the money back guarantee from A2 Hosting? Unlike other hosting companies listed here in the Dreamhost alternatives, A2 Hosting offers you “anytime money back guarantee”. Here’s how it works. If you cancel your hosting account within 30 days, you’ll get a full refund. If you cancel after 30 days from the effective date of your purchase, you will be issued a prorated refund, rounded up to the next full month of service. No refunds will be issued for partial months of service. Quick note: Refund requests received after 120 days from the date of purchase will be issued via PayPal. Refunds are not offered for partial months of service and all the hosting accounts that are terminated due to violations of their policies are not eligible for a refund. WPX hosting is one of the best hosting platforms to get started with WordPress. If you’re looking for a faster, reliable and secure hosting platform, look no further WPX hosting. It is also one of the best DreamHost alternatives that you can use in 2019 to host your WordPress sites which gives you a ton of useful features like super fast customer support access (which replies within 30 seconds), SSL certificates for free, site migration at no extra cost and so on. WPX hosting is the same hosting we’re using here at Bloggers Passion for over 2 years now and we’ve no complaints whatsoever. Here’s the pricing comparison of WPX hosting with others. Here are few pros of using hosting plans from WPX hosting. Here are few cons of using hosting plans from WPX hosting. WPX hosting offers you the following 3 pricing options. Business plan: This is the basic plan from WPX hosting which costs you $24.99 per month and you can host up to 5 websites with a bandwidth of 100 GB. You will also get 10 GB disk space of storage space. Professional plan: This is the intermediate costs you $49.99 per month and you can host up to 15 websites with a bandwidth of 200 GB. You will also get 20 GB disk space of storage space. Elite plan: This is the advanced plan from WPX hosting which costs you $99 per month and you can host up to 35 websites with unlimited bandwidth. You will also get 40 GB disk space of storage space. What’s the money back guarantee from WPX hosting? WPX hosting offers a 30 days money back guarantee. If you select MONTHLY payments, you will be entitled to a full money-back guarantee BUT only the first monthly payment and NOT on later monthly payments. If you’ve selected annual plans and not happy with their hosting, you can get your full money back if you ask for a refund within 30 days. HostGator is one of the leading hosting providers which offers a wide range of products such as domain registration, shared hosting, reseller hosting, VPS hosting, dedicated servers and so on. One biggest reason most people consider HostGator hosting plans is that it offers great hosting features at extremely affordable prices. Here are few cons of using hosting plans from HostGator. HostGator is currently offering the following 3 pricing packages in shared hosting. Hatchling plan: this is the cheapest hosting choice from HostGator where you can install 1 WordPress website which costs you $2.75 per month and great for starters and entry-level websites. Baby plan: The baby plan is the widely popular shared hosting plan from HostGator where you can install unlimited sites which costs you $3.95 per month and offers you features like unlimited domains, one-click installs, unmetered bandwidth, free SSL certificates and so on. 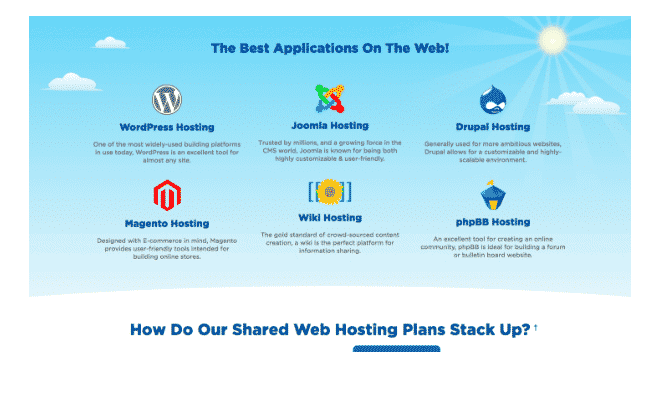 Business plan: This is the advanced shared hosting plan from HostGator which costs you $5.95 per month and get all the features from baby plan along with exclusive features like a free upgrade to positive SSL, free dedicated IP, free SEO tools worth $50/year. What’s the money back guarantee from HostGator? HostGator provides you a 45 days money back guarantee which means, if you are not completely satisfied with their features or services within the first 45 days of your service, you will be given a full refund. Why should you consider hosting from HostGator? There are so many reasons to use HostGator hosting plans as they are an affordable and widely popular hosting platform. Besides that, HostGator also offers monthly hosting plans so if you’re just getting started and don’t want to spend hundred bucks (unlike hosting sites like Bluehost) upfront, you can choose shared hosting plans from HostGator monthly plans. It also provides unmetered bandwidth which means you are not charged according to the amount of disk space or bandwidth you use. You’ll also get free SSL certificates with each and every hosting plan from HostGator as your hosting package includes a free SSL certificate that provides security for your website domains by encrypting communications between the server and visitors to your website. SSL certificates make your site secure by displaying a padlock icon in your address bar as it is also one of the key ranking factors in Google. HostPapa is another affordable hosting choice that provides you a free domain name, easy-to-use tools, and excellent storage along with a ton of useful apps. Here are few great features of HostPapa. Here are few pros of using hosting plans from HostPapa. Here are few cons of using hosting plans from HostPapa. HostPapa offers 3 types of shared hosting plans. What’s the money back guarantee from HostPapa? It offers you a 30 day money back guarantee which means, you can ask for a refund if you’re not happy or satisfied with their hosting services. Hostinger provides SSD storage at affordable pricing plans and it’s also one of the popular hosting platforms which is hosting over 29 million users in 178 countries and gives you stunning features like HTTP/2 and IPv6 enabled, PHP7, NGINX caching, GZIP compression, spam and threat detection to safeguard your websites. Here are few pros of using hosting plans from Hostinger. Here are few cons of using hosting plans from Hostinger. No traditional control panel is provided as Hostinger has its own control panel. For the users who are already aware of cPanel find it a bit hard to get used to. Hostinger offers you the following 3 pricing plans. What’s the money back guarantee from Hostinger? Hostinger provides a 30-day money-back guarantee which means, if you’re not happy with Hostinger hosting features or services, you can ask for a full refund within 30 days after your purchase. Why choose to host from Hostinger? There is a wide range of reasons to consider hosting plans from Hostinger as it offers truly unlimited bandwidth with Premium and Business hosting plans. Hostinger hosting environment runs on cloud-based technology with 3x optimized WordPress speed and uses SSD storage to provide you super fast website loading times and performance. Not only that, Hosting hosting is optimized for WordPress which means, if you’re using WordPress, you’re in great hands as it offers custom built caching plugins, to provide you fastest WordPress website speeds. So what are you still waiting for? Use the following link to get started with Hostinger. Here are a few important questions around DreamHost alternatives for 2019 to give you a better idea about other hosting choices. 1. What kind of hosting do I need? Honestly speaking, it depends on multiple things including your budget and website needs. If you’re just getting started with a limited budget, we highly recommend you to go for shared hosting plans as there are so many companies that provide affordable hosting plans including Bluehost, SiteGround, Hostinger and so on. But if you can spend a few extra bucks and looking for superior hosting along with faster website loading speeds, we highly recommend you to have a look at WPX hosting once as it offers SSD storage, super faster customer support assistance, cloud hosting environment, excellent security features, free site migration, and the list goes on. 2. What are the top 3 DreamHost alternatives for 2019? Although there are a ton of hosting options available but here are the top 3 DreamHost alternatives you can consider in 2019 and beyond. 3. What types of hosting plans are available in DreamHost? 4. What is Bluehost hosting money back guarantee? Just like most other hosting companies, Bluehost also offers 30 days money back guarantee which means, if you cancel within 30 days you receive a full refund on your hosting service only. If you cancel within 30 days and your plan includes a free domain, Bluehost will deduct a non-refundable domain fee of 15.99 from your refund. 5. Is SiteGround better than Bluehost? In most cases, yes, SiteGround is better than Bluehost. SiteGround hosting is fast because it uses SSD storage whereas Bluehost still uses traditional servers. The uptime of SiteGround is way better than Bluehost. SiteGround offers various shared hosting plans ranging from $3.95 to $11.95 per month depending on the type of plan and duration whereas Bluehost pricing plans range from $3.95 per month to $13.95 per month. As you can see, we’ve shared a ton of DreamHost alternatives you can consider in 2019 to host your WordPress websites. Few of the Dreamhost alternative sites provided here are affordable and others provide exceptional hosting and security features. So make sure to pick the right hosting choice that matches your website and budget needs. Do you’ve any questions around DreamHost alternatives for 2019? Share your thoughts in the comments. Thanks for sharing the awesome list of DreamHost alternatives. I like Hostgator and Bluehost. The performance of both these hosting service is very good. what’s your opinion on these hosting providers? The main problem with Shared Hosts are they put too much users are one server. Because of that, at one point of time, the users are bound to face downtime issues. Because of the enormous load, a certain spike in traffic in one of the account can cause problems. Hostgator and Bluehost have also been known to show problems after they got acquired by EIG. I Think Dreamhost is the Best Host Provider. I am Already Using it. Thanks. I was also having the same problem with Dreamhost, before I moved over to HostGator. However, none of the hosting companies monitor my website for me. When my site goes down, I had to find it out from my own customers. Then I discovered this great service called Content Site Monitor. It has a really simple web interface that allows me to configure URL’s that I want to monitor. When my site goes down, I receive alert email immediately. This allows me to act proactive to solve the server problem before my customers find out about it. It’s a service I can’t live without nowadays. If you are not sure about your server’s up-time, head over to Content Site Monitor (http://www.contentsitemonitor.com) and sign up for their free plan. Definitely there is a tough competition between Hostgator and Blue host. I think both have different advantages with each other. Dreamhost is one of the best hosting providers. Hostgator can prove to be a good alternative. Go for MediaTemple if you can afford it. When I was choosing a hosting company for my sites, DreamHost was actually one of my options. Fortunately I didn’t pick them as I was seeing better reviews made with Hostgator which is the reason why I picked the latter and not for just some random reason. me also like hostgator. very good service of hostgator. I prefer hostgator as it is faster and more script support to run application .